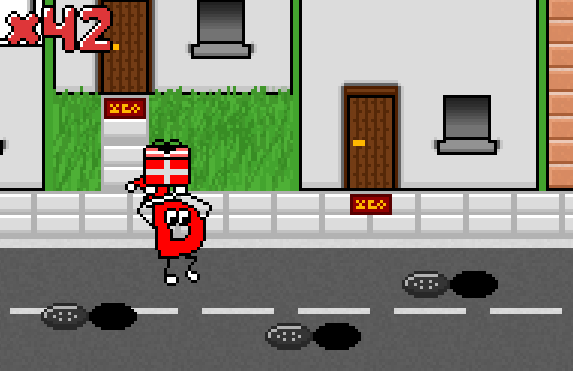 DMan Santa is an open source modern retro-graphics game about the D Programming Language Mascot 'D-Man' which gained popularity all over the world in the last few years. In this Game you are D-Man Santa and your goal is to deliver as many presents as possible while avoiding the obstacles. Hold down Left Mouse Button to charge your present and to throw it. You can share your score on Twitter using the Tweet button ingame. Press Escape to Pause/Unpause.